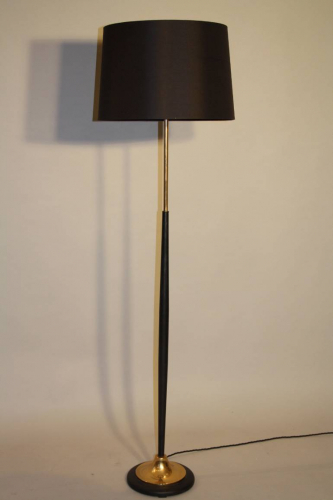 A very stylish black and gold metal floor lamp with black silk shade. French c1950. Height to shade is 141cm and shade width is 40cm and base width is 20cm. Rewired and PAT tested for UK use.